Store extra dishes and supplies within easy reach when you add this handsome server to your dining room. Sleek, clean lines and block feet give this piece elegant modern design that you are sure to love. Four drawers and a wine rack make it easy to always find room for your extra dishes and serving platters neatly out of sight, but always within reach. With this elegant piece in your home, you can't go wrong. 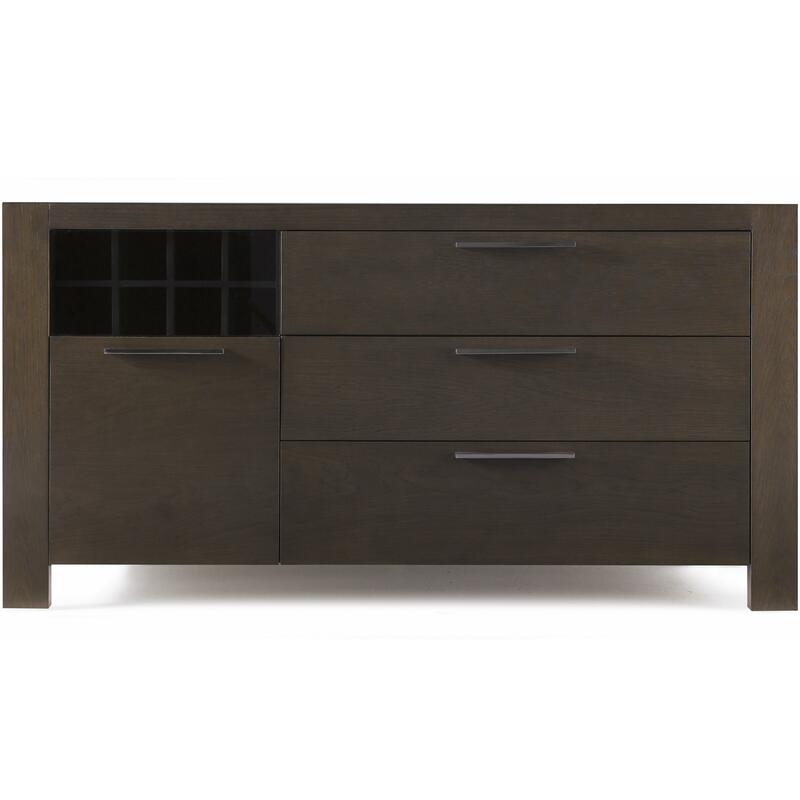 The Montreal Server with 4 Drawers and a Wine Rack by Casana at Stoney Creek Furniture in the Toronto, Hamilton, Vaughan, Stoney Creek, Ontario area. Product availability may vary. Contact us for the most current availability on this product. Stylishly modern, this chic Montreal dining collection is exactly what you have been looking for to add to your home for the perfect place to enjoy a meal with your family. Sleek, crisp lines create elegant, modern style that you are sure to love. The dining chairs are upholstered for the utmost in comfort, creating the ideal spot to sit and chat for hours as you dine. Sleek block feet on each piece pulls this collection together for a handsome look in your home. 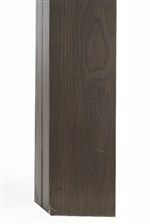 The dark finish adds depth and warmth to your home that wont go understated. The Montreal collection is a great option if you are looking for Contemporary furniture in the Toronto, Hamilton, Vaughan, Stoney Creek, Ontario area. Browse other items in the Montreal collection from Stoney Creek Furniture in the Toronto, Hamilton, Vaughan, Stoney Creek, Ontario area.